In The Bookcase: A Literary Christmas 2016 STARTS NOW + Book Ornament #GIVEAWAY!! 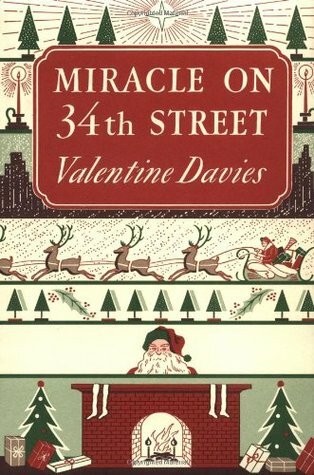 A Literary Christmas 2016 STARTS NOW + Book Ornament #GIVEAWAY!! Where will it take place? ::: In your favorite cozy reading nook. Whether it be while wrapped in fleece blankets in bed... sitting by the fireside drinking hot chocolate... etc. When will it take place? ::: November 25th - December 31st, 2016. 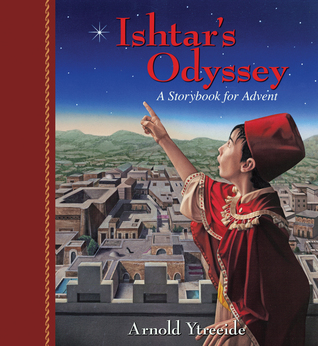 If you haven't yet, catch up on how to participate in A Literary Christmas. *Click on the book covers to see the book details on Amazon.com. 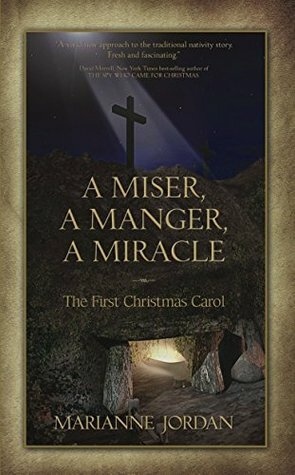 What books are you reading for this Christmas challenge? AND NOW FOR THE GIVEAWAY! . 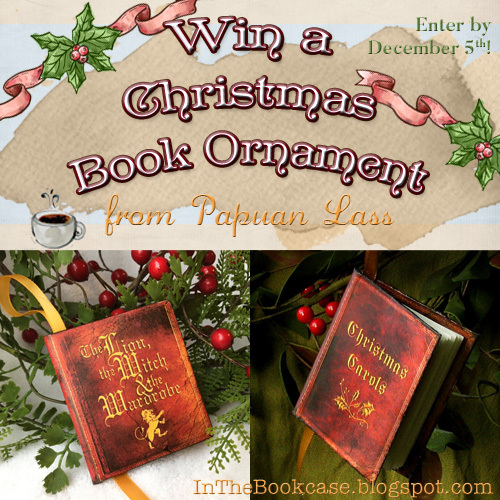 . .
1 winner will receive their choice of Christmas book ornament from Papuan Lass! Aren't these little books just DARLING? This Christmas ornaments from Papuan Lass are pocket-sized books. The hard cover is made to look like an aged, leather-bound, antique book with cracks and worn spots on the leather. The C.S. 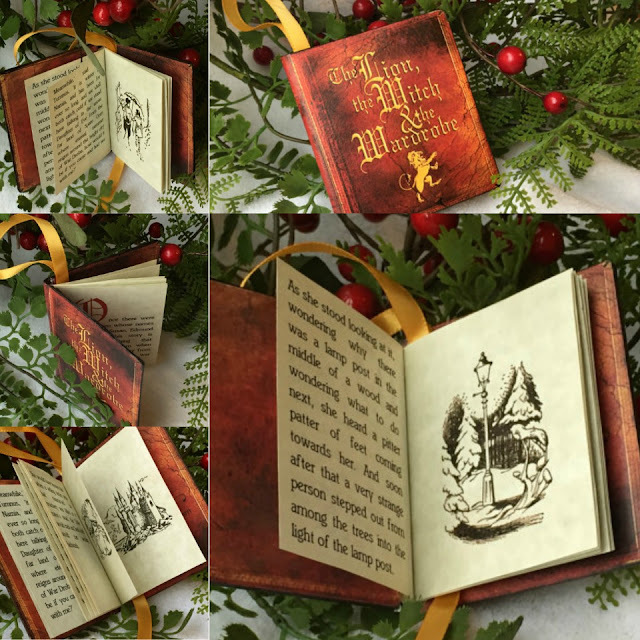 Lewis' timeless classic, "The Lion, the Witch and the Wardrobe" ornament contains 18 pages of treasured quotes and illustrations from the original book. 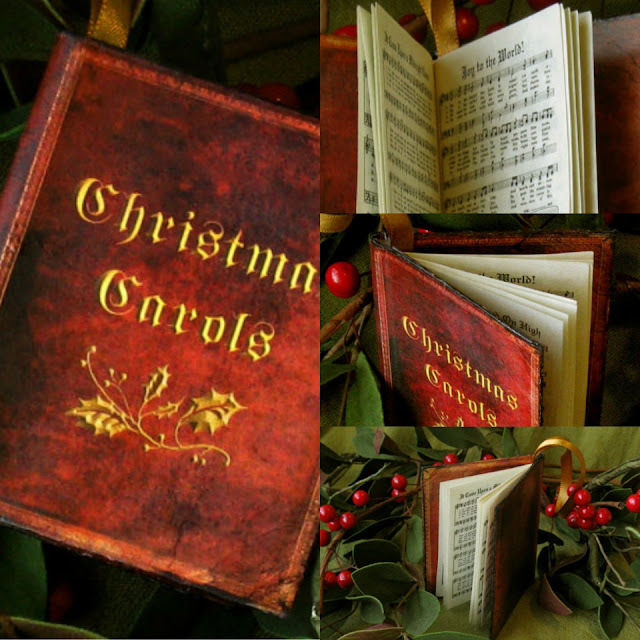 The "Christmas Carols" ornament features 18 carols, all traditional nativity carols and all legible. A gold silk ribbon serves as a book mark and a loop with which to hang the book on a Christmas tree as an ornament. The book measures 3" x 2.5". Each page as well as the cover is sprayed with a matte finish acrylic sealer to preserve the ornament and enhance the leathery texture of the paper. Connect with Papuan Lass online! The giveaway is open to EVERYONE (yes, dear International readers, you too! 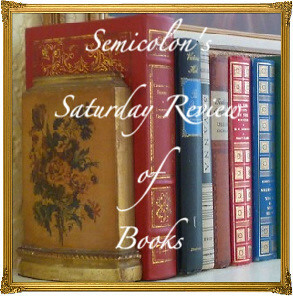 ), whether you're participating in the reading challenge or not. (But you can get 5 extra entries in the giveaway if you are taking part in A Literary Christmas!) Invite your literary-minded friends! Giveaway rules: Open internationally. Ends on December 5th. I'm so thrilled to be spending this holiday season reading some delightful Christmastime books -- And I can't wait to see which titles you're going to read for the challenge as well! Join me if you can. Link to any of your posts for this reading challenge! @Amy L., thanks for letting me know! To join the challenge, just fill out your info in the linky area (link title, email addy, & url), then click the Submit Link button. I tried clicking on it again myself, and I didn't find the error message you saw. So I'm not sure what went wrong for you. Perhaps if you are able to try again, it will work for you now. But if not, please drop your link in the comments area (and I can add it to the linky for you). Thanks for stopping by. 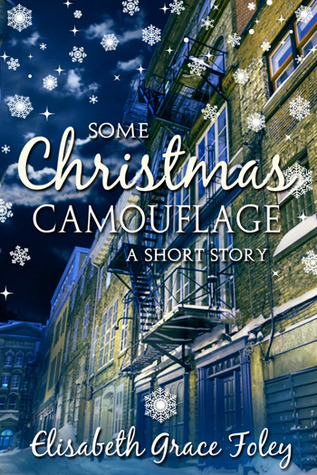 I'm thrilled to have you join us for A Literary Christmas! Oh, what darling ornaments!! I also just adore the Narnia Lamp Post - Christmas Scroll Ornament. So cute! 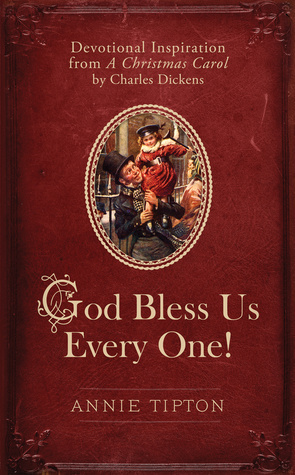 I'm planning to read Letters from Father Christmas by J. R. R. Tolkien and A Christmas Carol by Charles Dickens. I posted a bit about joining the challenge here on my blog just now. Thanks for hosting this! Should be fun. I like the sound of "A Miser. A Manger. A Miracle. "....I'm guessing it's about the inn-keeper. @Risa, yep, you're right! I'm reading that one right now in fact, and it's pretty cool so far. :) Thanks for taking part in the link-up! @Tarissa I'm glad you're liking it. Makes me less apprehensive about giving it a shot!